Culbokie is a community of 1,300 people on the Black Isle, in the Highlands of Scotland. It lies 15 miles from Inverness and 7 miles from Dingwall. Our village overlooks the Cromarty Firth, with Ben Wyvis in the background. Behind us, you'll find Culbokie woods is a great place to explore and take in the Highland air. 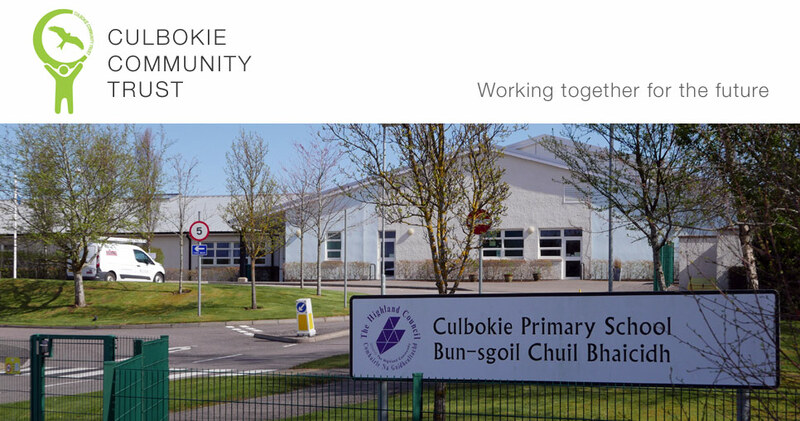 Culbokie Community Trust (CCT) was set up in 2014 to develop a new gathering space and community hub in the centre of the village. It will be developed on land purchased by CCT in 2015 and is known as the Glascairn Community Project. Our ambition is that the new facility will include a café, a digitally connected health room, a flexi space for community activities and some business rental space together with a covered outdoor space, plus outside seating, play areas and gardens. Since 2014 CCT has evolved to take on many other projects. 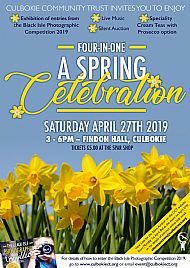 These include hosting the monthly Culbokie Community Market, helping to look after Culbokie Woods, running the Permanent Orienteering Course in Culbokie Woods, exploring our local history and helping to keep the village clean and tidy. Please explore our website to find out more about our village, our vision for its future and all our projects, events, activities and groups which are already in full swing. 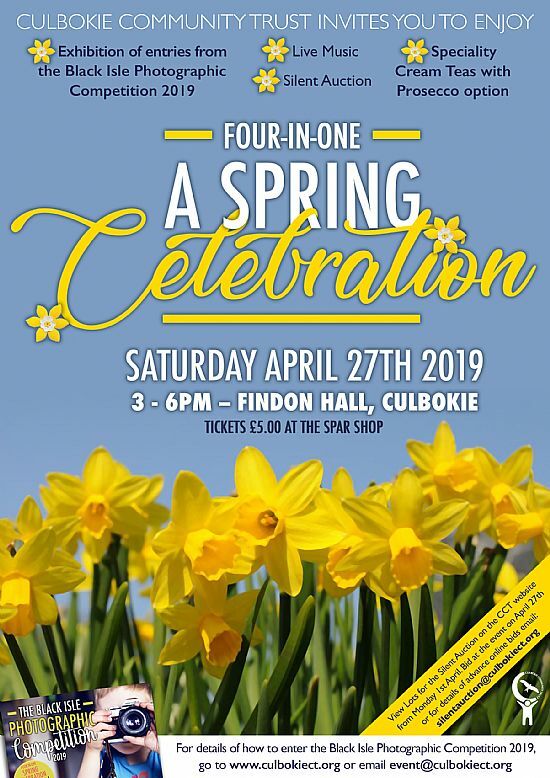 Bid for one of our exciting silent auction lots, including a glider flight at Glenfeshie with a qualified instructor. On line bidding is open until 23rd April 2019. Click on the image to see all the lots and register to make a bid. 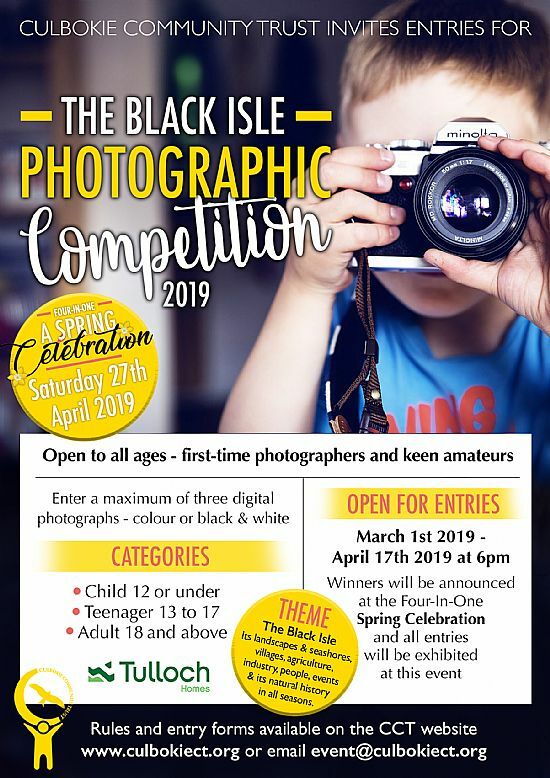 Enter a maximum of three digital photographs on the theme of the Black Isle. Closing date for entries 6pm April 17th. Why not try orienteering in Culbokie Woods? If you like being active outdoors and enjoy a challenge, why not try our orienteering course in Culbokie Woods?. You can enjoy it as an individual, a family or group. Community and school events take place throughout the year.